Handmade shop owners know all about the hustle and we love to hear that cha ching! 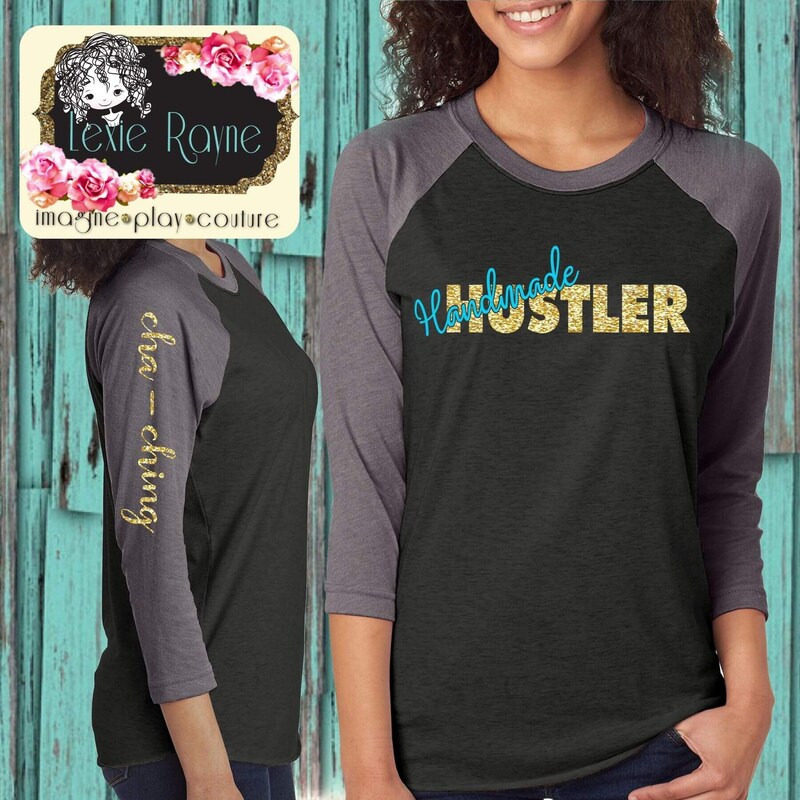 Be a proud shop owner with the Original Handmade Hustler shirt complete with Cha-Ching down the arm! This is a unisex premium brand super soft tri blend raglan shirt with vinyl wording applied with a professional heat press. The words “Hustler” and “Cha-Ching” are in a gold glitter finish vinyl. Cancellations permitted within 24 hours of purchase.